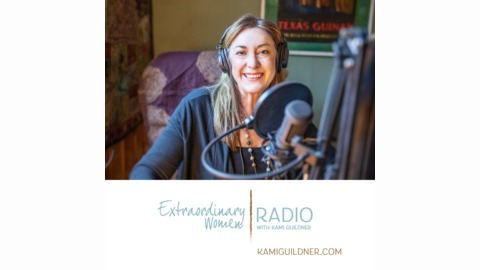 Join entrepreneur Kami Guildner as she brings the voices of these extraordinary women from around the world to share their personal stories of life, success, loss, transition, following dreams and stepping into their courage. 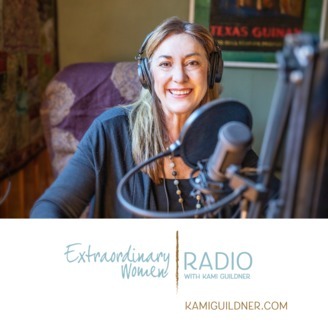 Today I’m excited to bring you today’s Extraordinary Women Radio guest, Stacy Taubman. Stacy is the CEO of Rise Collaborative Workspace, and this woman is on fire! Stacy will be one of our Circle of Inspiration Facilitators / Panelists at the upcoming Extraordinary Women Connect Gala on May 21! You’ll want to join us there! She opened the Denver Rise Collaborative Workspace – her second location this month, and I’m thrilled to be a Founding Member! Her Grand Opening party was last night – and what a night it was! Congratulations Stacy! In this episode, we talk about women raising capital and the magic of women in community! Stacy is on fire spreading her passion and I am so excited to bring her story to you! As the Founder/CEO of RISE Collaborative, Stacy Taubman launched a company that is changing the way women do business. RISE Collaborative Workspace has been featured in publications including Today Show, NBC News, USA Today, Bloomberg, and ELLE Magazine as a leader in the multi-billion-dollar coworking industry. Since opening in February 2017, RISE Collaborative’s growing membership includes over 350 of some of the most impressive businesswomen in St. Louis and Denver. Dozens of members have reported business growth of 150% or more since joining RISE Collaborative, a true testament to the impact of women supporting women. Focused on empowering women in business and building social capital, Stacy and RISE Collaborative create meaningful connections between individuals, companies and organizations to foster a stronger and healthier business community for women in St. Louis and Denver. Stacy is also Co-Founder/Co-President of RISE Society, the 501c3 arm of RISE Collaborative, which provides programming, mentorships, and scholarships to help women of all ages tap into a powerful pipeline for success. Through RISE Society and speaking to aspiring female leaders and businesswomen here in St. Louis, Stacy is actively investing in the next generation of smart, strong, successful women in St. Louis. To learn more about Stacy Taubman, you can follow her on her website: www.riseworkspace.com or follow her on Twitter or Instagram.